On Saturday. It was a novel idea. Literally. 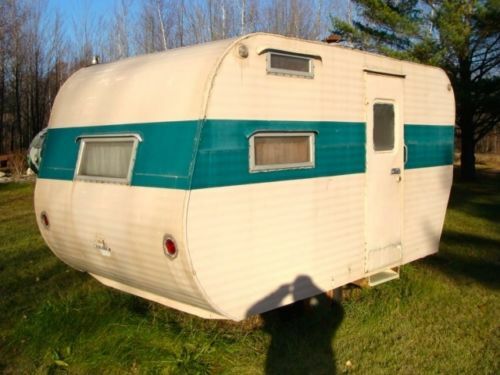 I would find a cute, vintage trailer, fix it up and turn it into my writing studio. After all, a lovely stone Tudor house in the heart of a fantastic Nashville neighborhood apparently isn’t enough. I mean, I have to share that space with a spousal unit, two teenagers, two cats, a dog and horse stuff (if not the horse). As if a cute, vintage trailer would keep out the menagerie. As if it would really change anything. As if it would make me actually write. I posted my desire to the universe — or on Facebook, which is the same thing — and the crowd roared. “What a great idea!” they squealed. “Do it!” they encouraged. Boy Child, the college kid was pumped. Something else old and creaky to restore. I reminded him the 1949 Packard was still waiting to be restored. But still. A camper. I tooled around on the interwebs. Saw the passion for the Tiny House movement, of which Mini Campers are a part. Wondered why the trend of converting shipping containers into funky homes couldn’t be used for homeless. Shopped around, playfully enjoying the idea of having a cute little Airstream or Shasta of my own, knowing the likelihood of it becoming reality was slim. On Saturday, I had an idea. On Sunday, waiting for spousal unit to finish his masterpiece spaghetti sauce that has become a weekly tradition and flipping through the virtual world that is internet shopping, I saw her. Her 1959-era come-hither booty turned toward me at an angle. The shiny world of Airstreams dimmed as her faded blue stripe, like a raised eyebrow, beckoned. I broke away from her magnetic pull long enough to see that I had found myself on eBay. She was being auctioned. SHE HAD TWENTY MINUTES LEFT AND THE HIGHEST BID WAS A LITTLE OVER TWO HUNDRED DOLLARS! I called the college kid. He’s the eBay whiz — just ask our PayPal account — and I needed his expertise. Spaghetti chilled on the dinner table as we clumsily accessed the account. We bid and were the highest bidder, but hadn’t met the reserve. His computer crashed with one minute to spare. I was screaming. Suddenly I wanted this camper more than anything. I wanted it more than world peace. I wanted it more than losing seventy pounds. I wanted this friggin’ camper. With 29 seconds left, his computer up and running again, I approved one more bid. We were the highest bidder. We stayed the highest bidder. Ten seconds. No change. Five. Holy crap, what were we doing. Three…two…one…WE OWN A CAMPER!!! We what? My spousal unit looked at me, spaghetti sauce oozing from the corner of his mouth. Girl child glanced up from her phone, shook her head and answered the text, probably telling her friend that her mom had finally lost her mind could she move out of this house of lunatics and in with her friend. It’s o.k. honey, you can stay here because I’m gonna live in my CAMPER. My camper that is ten hours away. In Michigan. It is going to cost more to retrieve it than it did to buy it. I don’t care. True love doesn’t see distance. True love knows no budget. Just ask my children. You want a pony honey? Oh you mean a German warmblood eventer that has to have special shoes and special feed and a special saddle? And son, you just HAVE to have this 1949 Packard? And then the money to rebuild the carburetor and rewiring and oh…the brakes? Yes, those are important. Oh sweet husband of mine, yes, I do believe you need another stringed instrument to play in your band. With all of these stringed instruments, you could BE the band. I’m so glad you people have your loves. And now I have mine. Her name is Daisy. She’s still chillin’ in Michigan. Literally. Polar vortex go brrrrr. I will find a way to get her and I will find a way to make her beautiful again. Perhaps I will also find a way to get myself. Just maybe I will find a way to make myself beautiful again. Daisy and I will be repurposed together. It will be a journey. I invite you to come along for the ride. This is soooo cool…. you go girl! Congrats! Now stop all the foolish talk about the two of you becoming beautiful. You are both already beautiful. You are just going to align your looks and habits to better coincide with being a writer and a writing retreat. At last!! You’re gonna write again. You are! Love the blog. Love the camper. I see this as the beginning of a beautiful relationship. I’m in your corner, as always, Tina, cheering you on with each word. Get to it! So we need a trailer and a truck to pull that sweet bungalow/studio/camper from Michigan to Nashville… Logistics…If only I had a truck or trailer to offer…. Daisy now has a fresh layer of snow covering her robust figure.